THE CANADIAN PRESS -- SASKATOON - Seven dogs who ate the remains of their dead owners in a home in Saskatchewan have all been adopted. 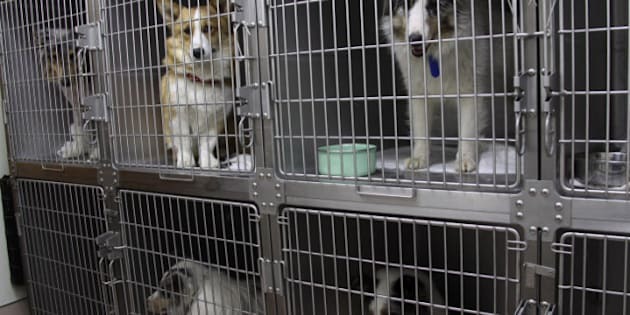 Marv LeNabat of the Saskatoon SPCA says the canines had behavioural and health assessments and they are confident the dogs will thrive in their new homes. The dogs belonged to a devoted couple who lived in a rural home near Springside in eastern Saskatchewan. When the wife died after an illness, her husband then killed himself, leaving the dogs behind to fend for themselves. RCMP made the gruesome find when they went to home on July 3 when concerns were raised about the couple not being seen for three weeks. Five dogs are shelties and two are mixed breeds, LeNabat said, adding two of the dogs were adopted together because professional dog trainer Brad Pattison recommended that. He heard the story and called the Saskatoon SPCA and offered to help, LeNabat said. Pattison came in this week and did assessments on them. "He was looking at the dogs and doing behavioural assessments and he found the dogs were in great shape, had great dispositions, very non-aggressive, just normal dogs...he just kind of reaffirmed what the SPCA had hoped — that there was absolutely nothing wrong with these animals." Both Pattison and LeNabat said the dogs did what they had to do to survive. "You just can't assume just because they've had human flesh, that they're going to become these creatures of the night, like a werewolf,'' Pattison said. "Now that they are into their new homes, there's no survival instinct anymore because they will be provided for and fed and watered and loved and all that good stuff," LeNabat said.